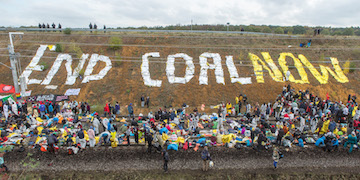 ﻿ Ende Gelände – Stop Coal. Protect the Climate! 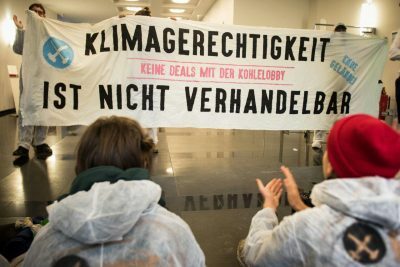 Disobedient against capitalism and for climate justice – worldwide! Melting glaciers, rising sea levels, extinction of species, stronger and more frequent weather extremes – these are just some of the many consequences of climate change. Those who have contributed the least are particularly hard hit: people in the Global South are already losing their homes because of the climate crisis. The climate crisis is intensifying the existing injustices worldwide. With such prospects for the future, it should go without saying that the effects of climate change should be kept to a minimum. But the reality in politics looks different: The climate protection measures adopted there, are no more than window dressing. Coal exit in 2038? It’s too late then! The coal phase-out is the fastest immediate measure for climate protection. But politics is failing again and that is why we act! 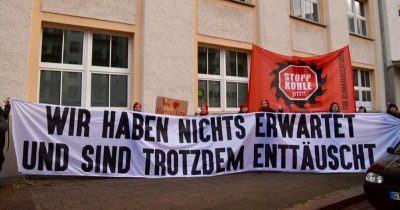 In June we will block coal infrastructure in the Rhineland and take the coal phase-out into our own hands! All villages stay – worldwide! Together we fight for climate justice! We will not allow the climate to heat up any further, islands to sink into the sea and more villages to be dredged for the dirty brown coal. All villages stay – in the Rhineland and worldwide.! We are the immediate coal exit! The time to act is now! From 19 to 24 June we will fight destruction and block the coal infrastrcture in the Rhineland in a mass action of civil disobedience. 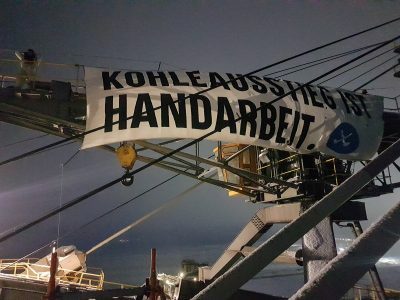 Coal exit is still manual work: let’s go – Ende Gelände! Our promise is: we’ll come back until the last digger stops!